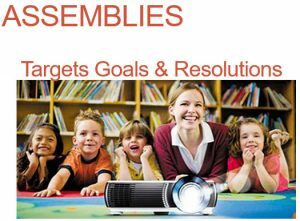 Assembly PowerPoint Presentation on Goals, Targets and Resolutions. Ideas for New Year, Start of Term, or any time you want to discuss planning ahead. It has links to videos. Below is a video giving an overview of the presentation.